Heaven Mod - a new heavenly world in your favorite game. 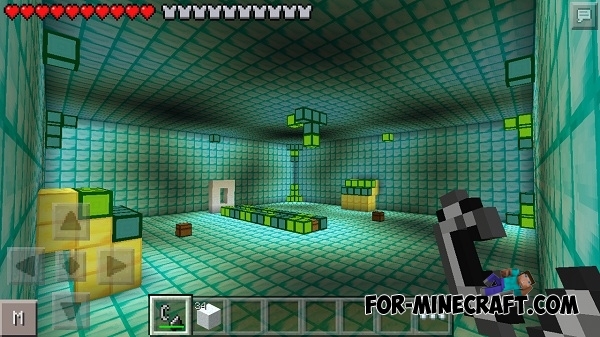 Completely made up of blocks of diamond, the world has prepared for the players a huge treasure and a huge number of puzzles and mysteries. This world is unusual and looks fabulous. First you have to create a special portal, which is a rectangle of ten snow blocks with a hole in the middle. 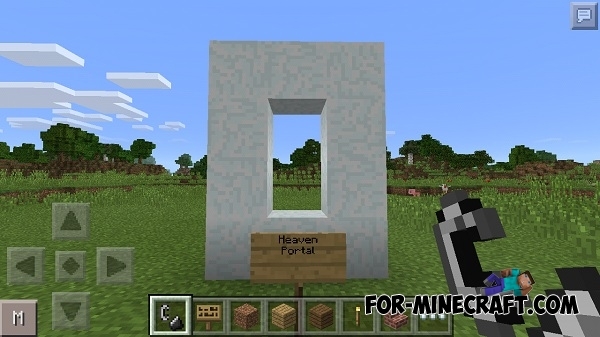 After finishing the construction of the structure, you need to take the flint and steel and click in the center of the portal. Then, you can go on a journey. Do not forget to look around. Each missed a cache will deprive you of useful materials that are hidden in the this wonderland.